Home » How to transfer photos from Android to iPhone? Both new and experienced iPhone users often find iTunes cumbersome and unintuitive to use. The good news is that you can easily transfer photos from Android to iPhone or iPad without iTunes. This tutorial demonstrates how to copy pictures to iPhone from any Android device including Samsung Galaxy S8, Galaxy Tab, HTC and Nexus via simple drag-and-drop. It works with all iPhone models including iPhone 8, iPhone 8 Plus & iPhone X and all iOS versions including iOS 10. Let’s begin. Connect your Android phone or tablet to the PC. To ensure you have the right type of USB connection, tap the USB icon from the Notifications center on the Android device screen. 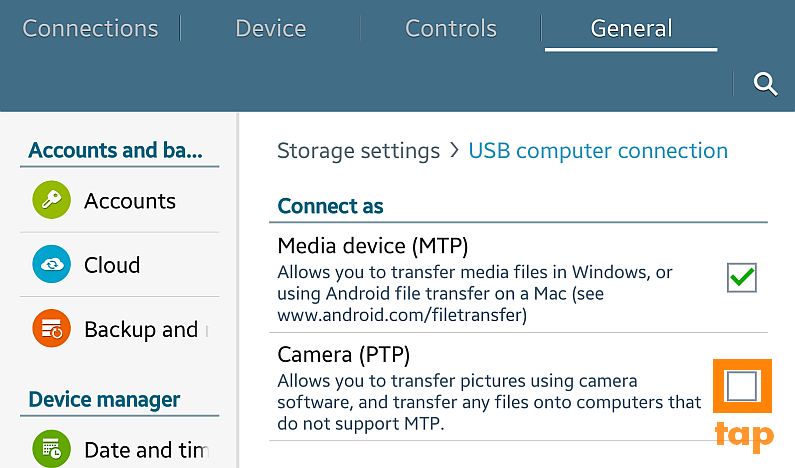 From the newly-opened Storage settings screen, check the box next to “Camera (PTP)”. NOTE: depending on the Android device, the USB computer connection settings may vary slightly. In this case we use a Samsung Galaxy Tab Pro. On the PC, open “My Computer” and double-click on the Android tablet or phone. 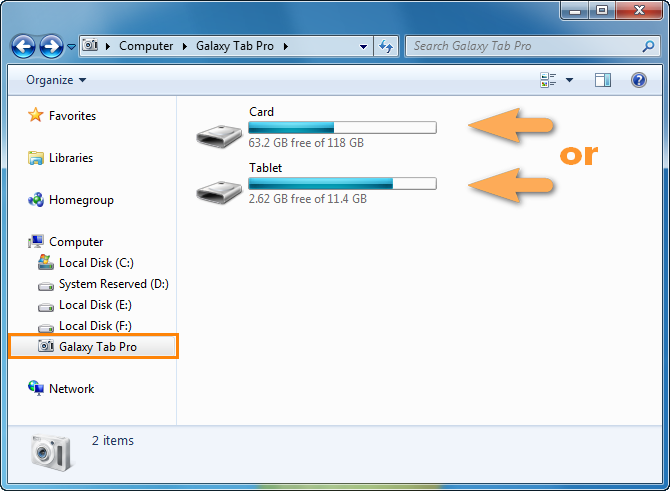 With regards to where you keep your photos, double-click on either the SD Card drive or the Tablet/Phone drive. Navigate to the DCIM folder. It contains the photos you took on the device. NOTE: if you are looking for other pictures or photos, navigate to the “Pictures” folder instead. 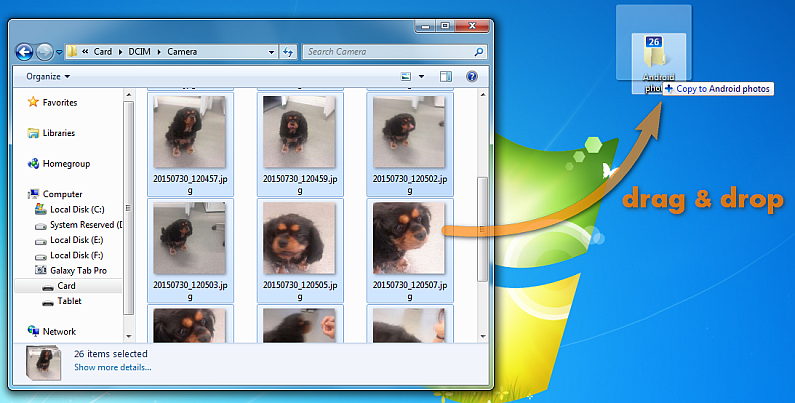 Create a new folder on the PC Desktop and drag-n-drop the photos from the Android device to the PC folder. Start the program and connect the iPhone or iPad to the PC. 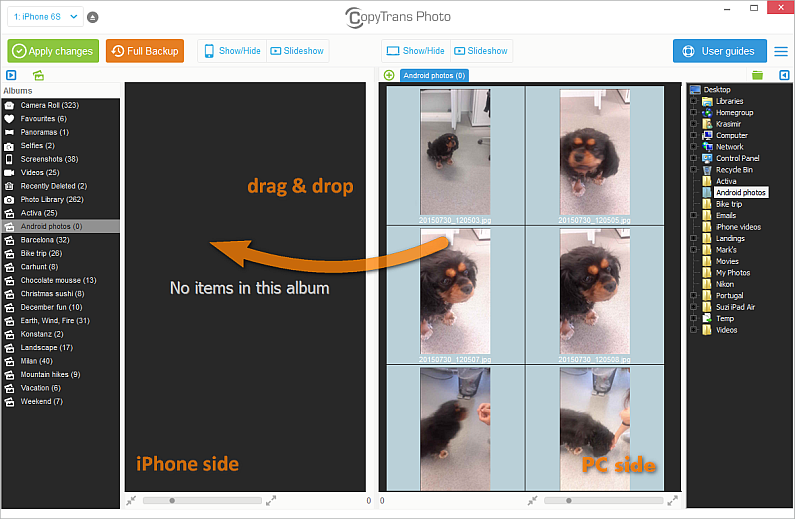 CopyTrans Photo displays photos from both the iPhone and the PC. Select the folder where you saved the Android photos from the far right side. Create a new photo album on the iPhone by clicking on the green photos symbol. Name the new album and click OK. 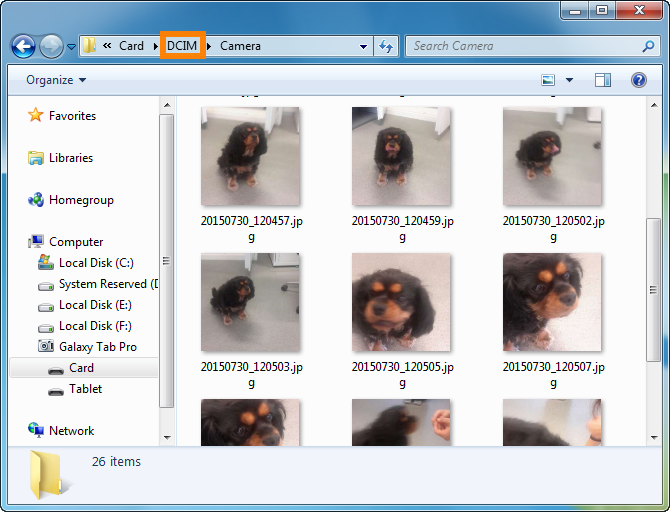 Select the Android photos on your PC (right-hand side). 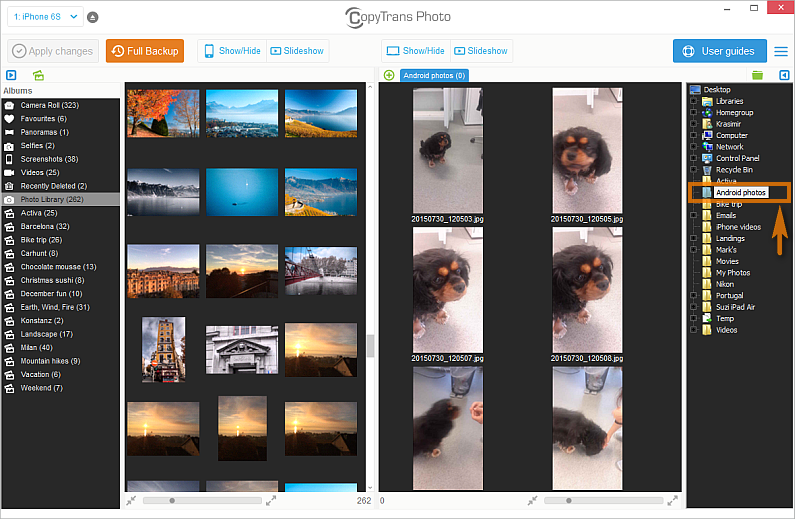 To select all photos at once, press CTRL + A. Next, drag and drop the photo selection to the iPhone side. Click on the “Apply changes” button to save the Android photos on the iPhone. That’s it. This is how to transfer Android photos to your new iPhone.